Asphyx is a VR traversal game where the player can teleport from crystal to crystal. 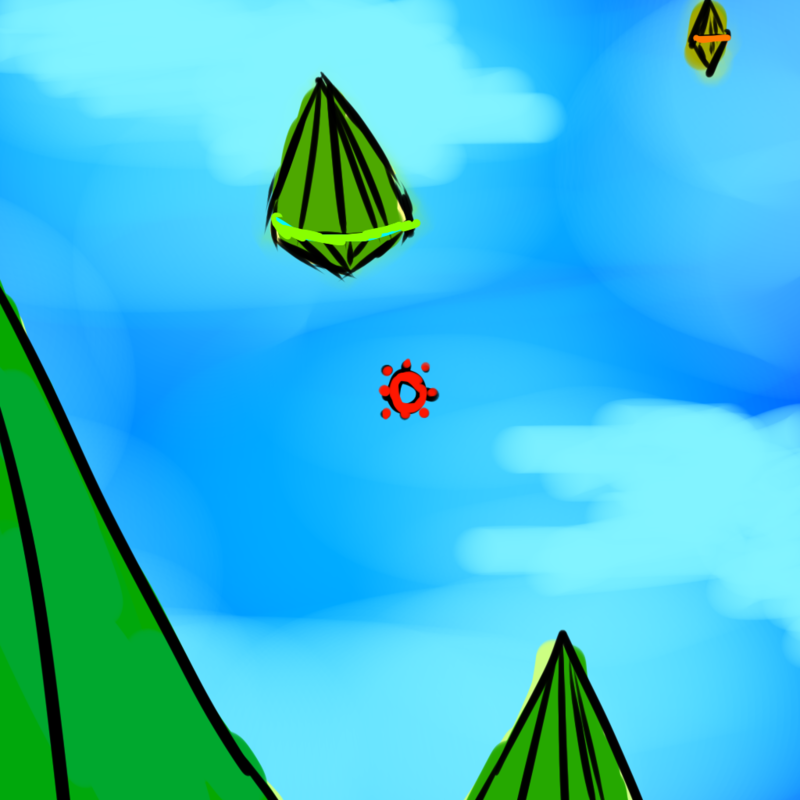 As the player starts teleporting their way up along the crystals, they're followed by a liquid pool of death. Attempt to reach the top before it's too late! This was the first jam where the process went extremely well. We first brainstormed by bringing up a whole bunch of ideas, then setting restrictions and noting down the scope, uniqueness and fun factor of each idea in points. While we were crossing off I added the idea of being able to traverse by teleporting your way up. I envisioned it as a 2D plane that the player would be moving across, the VR addition allowing the player to go 360 degrees around themselves but nothing more (Mainly because of the fear that VR would easily cause nausia), but with the input of some of my teammates we decided to go for first person. It was a simple concept, and we executed quite quickly - even being able to add in an easy, medium and hard mode (In easy you stick to the crystal you've teleported to, in hard you fall off), which was praised by the staff and Samsung representatives. I thought of the initial mechanic of teleporting from crystal to crystal, and together with the rest of the team we worked it out. During the second and the last day of the jam I spent a lot of time balancing the game, making the different difficulty modes with the intention of allowing everyone that tries it able to play it at their level. I did this with the placement of crystals, the speed at which the water (which is rising up, chasing you) is going as well as the maximum teleport distance and the falling speed. During gamejams I act as one of the artists of team Sparklepony as well as being a designer, and for this project I made two out of three of the crystal models, as well as their textures. I also spent some time working on an UI image describing what button to use to select options & teleport, and I created a bunch of 'shades'. These are just used as addition for the environments, circling around the player in a ghost-like fashion. We added this to give it a bit more of a scary vibe, and they were quite fun to work on. Shades I made to float around the player with low opacity.